Born in George, Texas, September 14, 1932; admitted to bar, 1961, Texas. 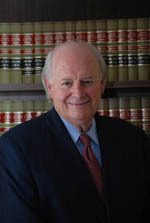 Education: Sam Houston State University (B.B.A., 1956); University of Texas (LL.B., 1962); College of the State Bar of Texas. Delta Theta Phi. Member, Texas House of Representatives, 1959-1962. Assistant Attorney General, Texas, 1963-1966. Member: Walker County Bar Association; State Bar of Texas. (Board Certified, Commercial, Residential Real Estate and Farm and Ranch Real Estate Law, Texas Board of Legal Specialization). Practice Areas: Real Estate. Born in Fayetteville, Arkansas, October 10, 1945; admitted to bar, 1970, Texas and U.S. Court of Military Appeals; 1980, U.S. District Court, Southern and Eastern Districts of Texas; 1982, U.S. Court of Appeals, Fifth Circuit, 1983, U.S. Supreme Court. Education: University of Arkansas (B.S.B.A., 1967); Southern Methodist University (J.D., 1970). Phi Alpha Delta. 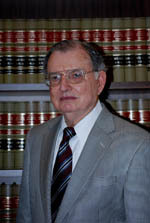 Instructor, Business Law; Central Texas College, 1973-1974; Sam Houston State University, 1974, 1980. County Attorney, 1975-1977 and Judge, County Court at Law, 1977-1980, Walker County, Texas. 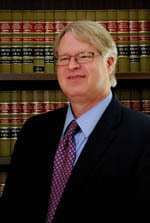 Member: Walker County Bar Association (President, 1977); State Bar of Texas. [Capt., JAGC, U.S. Army, 1970-1974]. Practice Areas: Probate; Real Estate; Oil & Gas; Family; Personal Injury. Born in Huntsville, Texas, March 6, 1963; admitted to bar, 1991, Texas; also admitted to practice before U.S. Supreme Court. Education: University of Texas (B.S., 1985); South Texas College of Law (J.D., 1990). Phi Alpha Delta. Assistant Criminal District Attorney, Walker County, Texas, 1992-98; 1999; Special Prosecution Unit, Civil Division, 1999-2002. Member: Walker County Bar Association (President, 1996); State Bar of Texas; Texas District and County Attorneys Association. 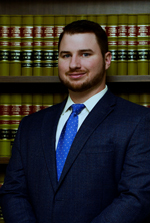 Born in Bryan, Texas, 1987; admitted to bar, 2016, Texas; Education: Sam Houston State University (B.B.A., 2011); St. Mary’s University School of Law (J.D., 2015). Member: Walker County Bar Association; State Bar of Texas. Practice Areas: Real Estate; Estate Planning; Probate; Business and Business Entities; Oil & Gas. Wordpress Law Theme © 2019 Smither, Martin & Henderson, PC. All rights Reserved.